The Uses of Eucalyptus - Which one do I use? But What Species Do I Use? The uses of Eucalyptus oils are very vast and wide-ranging because there are so many species. Traditionally, Eucalyptus species have been used traditionally for supporting a healthy respiratory system and to soothe muscles after exercise. The Australian Aborigines used the leaves for soothing physical and emotional discomfort. Unfortunately with the broad uses and abundance of species comes some confusion and even exploitation of the consumer. This is similar to the problems often encountered with other popular essential oils such as cinnamon essential oil and the Melaleuca species. Therefore, it is up to us as consumers and oil users to have an understanding of the plant and the oil so we can use the oils safely and correctly. With that said, my mission is always to do the best I can do in presenting the facts on this website so you can educate yourself on choosing essential oils. Then rest is up to you! Why is There so Much Confusion about Eucalyptus? With over 700 species of eucalyptus, as well as chemotypes, common names and different parts of the plant being marketed, it is no wonder that people are so confused! And on top of it, most companies are labeling the oil all under the genus of Eucalyptus. Now that is not only confusing, but misleading! What is a Chemotype? Oh, no…..Chemistry Again? A chemotype (CT) is a designation that tells you that the species has different chemical constituents. This usually occurs because the plant is grown in a different area under a distinct climate that alters the chemistry. The perfume varieties mostly contain citronellal, while the species that has been studied to support healthy respiratory system function contain 1, 8 cineole. Always purchase and use essential oils by the common name and genus species. And of course make sure they are therapeutic grade! It matters because different species (and chemotypes) may have a different purpose. So the uses of eucalyptus will be different. And some species may not be suitable for all uses! What are the Different Species and What are the Uses of Eucalyptus Species? As I said previously, there are over 700 species of eucalyptus; however, not all have been studied to support the respiratory system. Eucalyptus globulus – This oil is commonly known as Eucalyptus or Blue Gum Oil. It contains 60-75% 1, 8 cineol. This is the eucalyptus that is known to provides support for a healthy respiratory system and soothe muscles after exercise. It is originally from Australia, however it is also grows in Brazil, China, Corsica and Ecuador. 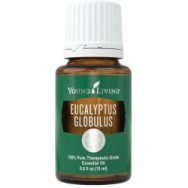 E. globulus has a fresh and earthy aroma that promotes well being. Dilute 50:50. Can be used as a dietary supplement. Approved by the FDA as a Food Additive (FA) or Flavoring Agent (FL), however, not advised for children less than 6 years of age. My favorite professionally made products that contain E. globulus are: RC essential oil, and Ortho Sport and Ortho Ease Massage Oils. Eucalyptus radiata – This oil is commonly known as Black Peppermint Oil. It contains 60-75% 1, 8 cineol and is native to Australia. You’ll notice that the constituent make up is similar to E. globulus, but you will notice a difference in the smell. Radiata is less intense and milder, making it sometimes chosen over E. globulus. Only two out of the six known chemotypes are harvested, CT 1, 8 cineol and CR peperitone. My favorite professionally made products that contain eucalyptus radiata are: RC, Raven, and Thieves essential oils. Brazilian trees contain a high percentage of aldehydes. Has an ORAC value of 83,000 µTE/100g. This is the highest value of all the Eucalyptus species. Its fresh and lemony aroma is uplifting. Dilute 50:50. Can not be used as a dietary supplement. Repeated usage can possibly result in contact sensitization. My favorite professionally made blend that contains eucalyptus citriodora is RC blend. Eucalyptus dives – This oil is commonly known as Peppermint Eucalyptus Oil. It contains 35-50% piperitone and 23-30% phellandrene. It has three chemotypes that have different uses: CT cineole, CT piperitone has a minty fragrance and CT phellandrene is traditionally used for insect repellant. Eucalyptus polybractea – This oil is commonly known as Blue Mallee Oil. This tree is grown in France, but native to Australia. It contains 85-95% 1, 8 cineol. The chemotype from the French Tree contains cryptone and smells similar to cumin. Its fresh and earthy aroma is uplifting. Dilute 50:50. Can not be used as a dietary supplement. 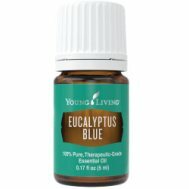 Eucalyptus bicostata – This oil is commonly known as Eucalyptus Blue. The plant is grown in Ecuador (Eucalyptus Blue) and Australia (Southern Blue Gum). It contains the a high amount of alpha-pinene. It also contains eucalyptol (1, 8 cineol). Some botanists consider this a subspecies of E. globulus; however, this does not have global support at this time. Its fresh aroma is very calming to the mind. Dilute 50:50. Use in humidifier. Can not be used as a dietary supplement. •	Eucalyptus staigeriana – This oil is commonly known as Lemon Ironbark (not to be confused with lemon myrtle). This oil contains a high amount of aldehydes (about 51%). You will see it in skin care products. Very calming. I choose chemistry over confusion. I choose dependability over deception. And I have come to depend on quality over quantity or price! Read your labels and don't be taken by a snake oil salesman! I hope that helps you sort out the confusion and uses of eucalyptus. And remember the information contained on this page is built on facts, not farce! The next section is specifically for E. globulus and also has some bits and pieces on the other eucalyptus oils. It will tell you how to use your oil and what to use it for. 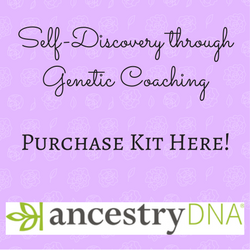 It will also provide you with some fun tips, testimonials and oil trivia! Want to Purchase Therapeutic Eucalyptus Radiata Essential Oil? Go to the Oil Shop! Buy Eucalyptus Radiata Oil and other Eucalyptus Oils Here! Where is the name derived from? Eucalyptus comes from a Latin word "obliquus" meaning "oblique"” referring to the base of the leaf where the two sides of the leaf blade are of unequal length. What Part of the Plant is Used? Leaves (all of the species written about on this page). What is the ORAC Value? 2,400 µTE/100g. E. Citriodora has the highest ORAC value. Did you know that on Cook's 1777 expedition, David Nelson collected a species of eucalyptus to bring back to the British Museum in London? What are the Documented Benefits and Uses of Eucalyptus? Supportive of the respiratory system. Occasional aches and pain, muscle spasm, charley horse, tension in head and neck; joint stiffness due to exercise, muscles (over exercised, sore, tension or stiff due to exercise or everyday activities), sports. What is the Aromatic Affect on the Mind? Its fresh and earthy aroma promotes emotional well being. What is the Spiritual Influence? The uses of eucalyptus include spiritual transformation as well! The species of eucalyptus brings relationships into the light. This includes the relationship to our self, to others, to our work, and the divine. It will ask us to look at our patterns that hold us back. Or help us see the ones that come forward when we are around our family or if our buttons are being pushed! As we become aware of this, we are able to bring much needed change and harmony to our relationships. What is the Corresponding Chakra Color? Green. E. bicostata is blue. May be used as a dietary supplement (E. globulus only). Can this oil be used for Pets? Yes, our uses of eucalyptus include pets! I like to use the blends and often times I use Ortho Ease or Ortho Sport for me and the horses! They both have eucalyptus oils in them. Because it is approved as a Food Additive (FA) by the FDA, food grade eucalyptus oil is readily available on the market. Please remember, these are not the same oils and are often adulterated (changed). One of the reasons the uses of eucalyptus are vast is because it is generally regarded as safe (GRAS). Did you know that Eucalyptus trees have been planted in parts of North Africa to try to assist with the spread of malaria? Combine with lavender, helichrysum or copaiba essential oils with E. Radiata to soothe muscles after exercise in conjunction with massage.